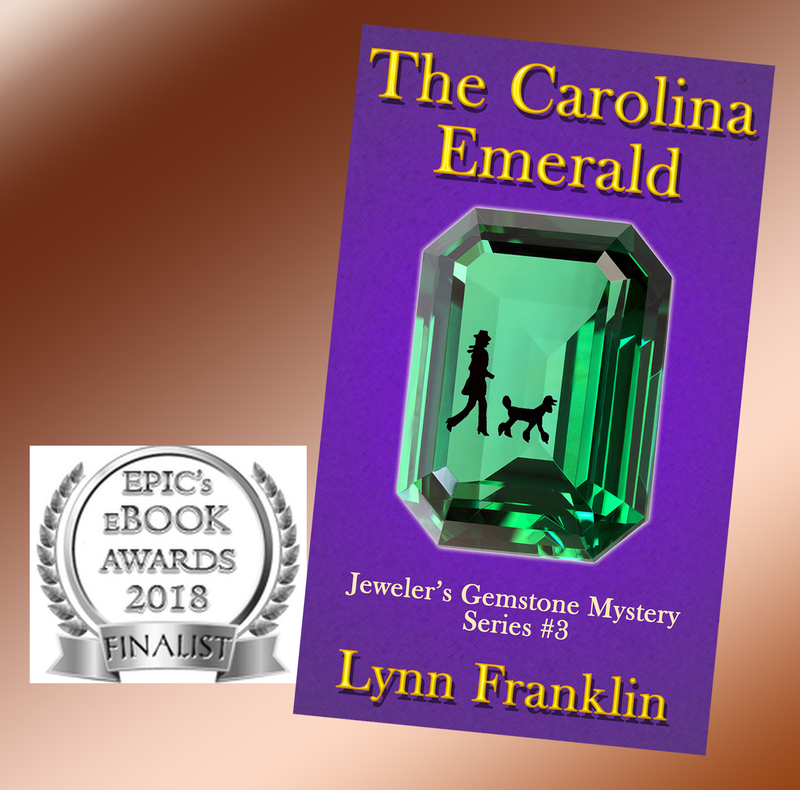 Can’t tell you how surprised, happy and honored I was to receive notice from the Electronic Publishing Industry Coalition saying that The Carolina Emerald is one of only four finalists for the 2018 EPIC mystery eBook Awards. 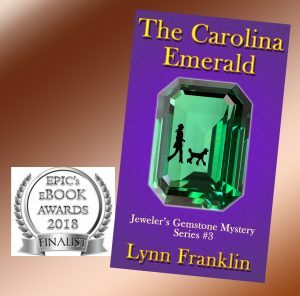 The Carolina Emerald by local novelist Lynn Franklin has been named a finalist for the prestigious EPIC™ eBook Awards. EPIC™, the Electronic Publishing Industry Coalition is one of the oldest voices in the E-publishing industry. The annual award recognizes authors who adhere to rigorous storytelling and publishing standards. Finalists are judged on literary quality and whether they are “good reads”. Entries from all over the globe are divided into 15 categories. The multi-step judging process is intended to winnow the thousands of entries down to three or four in each category. Books are judged on plot, character development, setting, continuity, editing and presentation. The 2018 winners will be announced later this year. The Carolina Emerald is one of only four finalists in the broad Mystery category. 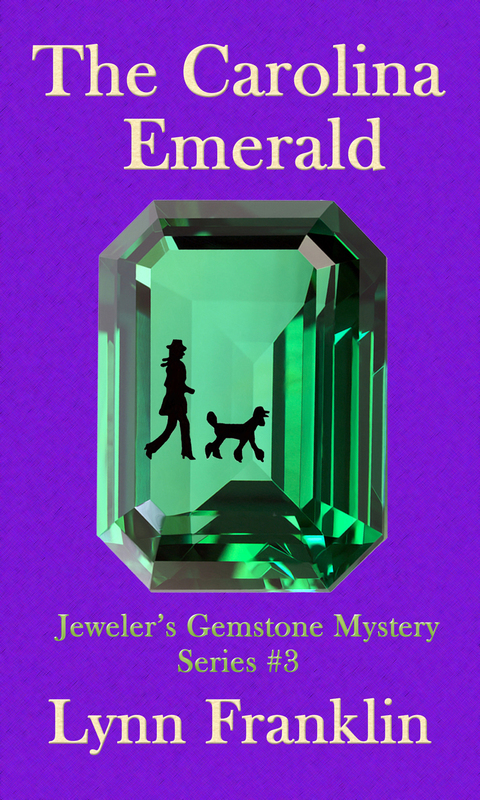 The Carolina Emerald is the third book in Franklin’s Gemstone Mystery Series. While the first books are set along the Chesapeake Bay in Maryland, The Carolina Emerald takes place in a real North Carolina Emerald mine. The novel features a real 60-year-old mystery, a one-of-a-kind emerald, and a small town steeped in secrets. 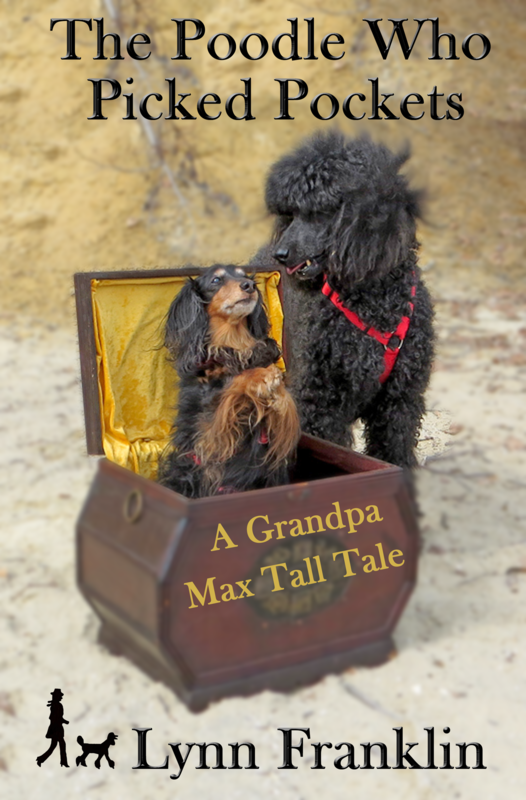 Franklin assures her readers that all of their favorite characters from the first two books – Kimberley West, Scott Wilson, Kim’s grandfather and Aunt Ginny and, of course, Rory the standard poodle and Al the longhaired dachshund – appear in the book. Though now available in quality paperback, Franklin’s series originally appeared only in eBook form, which makes the EPIC™ nod appropriate. Franklin and her two-time, Pulitzer-Prize winning husband Jon, were early pioneers in ePublishing. Beginning in 1995, they edited and moderated WriterL, a discussion list for writers of narrative nonfiction. In 1999, long before the advent of Kindle and PayPal, they launched an ePublishing company called *bylines*. The goal of *bylines* was to bring quality writing to readers at a low cost while paying the writers the bulk of their sales. *bylines* received an enthusiastic audience from readers, writers and The New York Times. Among the companies’ best-sellers was Lynn Franklin’s “Comfort Me With Apples,” a nonfiction novella that traced the history of the human love of apples. Due to the difficulty of processing micropayments, *bylines* eventually closed its doors. But the audience for quality stories remained – even if they were published electronically. It’s also why, when Franklin published The Blue Diamond, the first in her Gemstone Mystery Series, she turned down standard publishing contracts and published the book electronically. Thanks, Dori! I’m still walking on clouds. I was pleased to read a bit of your background, Lynn. Congratulations on a well deserved reward. They are the best kind! Thank you, Janet! Who’d have thought that when we all set off on this ePublishing adventure that it would turn out so well?